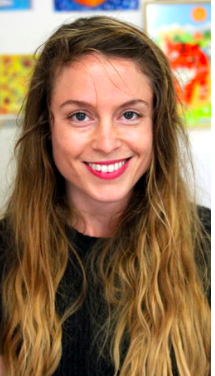 Abi is one of the co-founders of Artspace and moved into a trustee role in July 2018. She works mainly with printmaking and graduated from an Inclusive Arts Practice Masters in 2014. She finds inspiration for her art in organic forms, 1960's posters and prints, and enjoys mark making and using bold lines and graphic shapes. She has worked in a number of public and voluntary sector settings since 2003, as well as having a BA (HONS) in Health and Social Care. Currently, she is employed as a Community Health Trainer for Brighton and Hove City Council, where she uses Motivational Interviewing to support clients through behaviour change. Scott is a fundraising professional within the arts and education sectors. Having previously worked in the fundraising teams for Sussex Students Union, Hampsted Theatre and the Philharmonia Orchestra, he is now Director of Development at leading school, Brighton College. In this position, Scott heads up a multi-million-pound campaign for educational facilities and scholarships for its pupils. Sue is a social care manager, specialising in adults with disabilities, particularly those with mental health issues. Sue has 18 years experience as a school governor and 12 as a local councillor, culminating in 4 years as Deputy Leader for Brighton & Hove City Council. Sue is a former board member of both Brighton Festival and Sussex Probation and is Vice Chair of Rottingdean Parish Council. She has a Post Graduate Certificate in Careers Guidance and is a qualified Stage One Practice Educator (Social Work).